Last Summer, a week after school ended, my dad told my mom and my siblings and I that we have to pack some clothes because we are going on a trip. We asked him where, but he never told us. even when we asked our mom she didn’t even know. The next day we were driving and driving. My sisters and brother fell asleep but I never did, cause I wanted to know where we were going. A few hours later we ended up at a house in Boston. We had to unpack all of our stuff from the van and put it into the house. We were then greeted by my dad’s side of the family; my grandmother, my three aunts, my two uncles and some friends of the family. At first me and my sisters felt out of place, but then we started to get more comfortable. When the food came out I was really excited, because my dad and all of his family makes some good food. We all sat at a hugh table and talked and laughed. It was awesome. There were Fried Rice, Baked Chicken, Stuffed Shells, Lo Mein, a Turkey, different types of salads and so much more. There were different types of deserts like cakes, pies, and ice creams. Also there were different kinds of drinks, everything was really good. We spent about 8 hours together eating and talking to each other. We had to sleep over so my sisters and I took alot of food in our room and ate like non-stop. This was a very memorable time about food with my family and I will never forget it. Two years ago, my family and I went to my home country during spring break. It was the first time I’ve been in El Salvador and especially out of the United States. I knew that El Salvador was going to be very different from New Jersey, especially the food. Here in New Jersey, there is fast food restaurants but where my grandparents lived there was none of that. In New Jersey, I would usually eat waffles/pancakes or cereal for breakfast but in El Salvador my grandparents would makes us scrambled eggs, plantains with sour cream, red beans, and these small fishes fried in a pan. That was technically what we ate for breakfast everyday. Sometimes, though, we would drink some coffee and drink that with the sweet breads they had. For lunch we would eat tortilla with sour cream and cheese which is this type of hard cheese. And for dinner my grandmother would make us pupusas, a favorite dish of mine that my mom would make for my family and I back at home, though it was not the same the way my grandmother made it. Pupusas are tortillas stuffed with either re-fried beans, cheese (quesillo) or cooked pork meat. 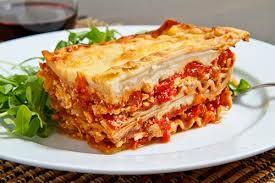 It is a traditional dish and I have always loved it. This dish is usually served with this slightly fermented cabbage slaw and tomato sauce. The food in El Salvador was really delicious and I really enjoyed the experience of going to another country and eating food that I normally do not eat here in New Jersey, even if I had to eat the same food almost every day! Last year, my cousins and I decided to do a cook out for the 4th of July. Most of us were guys and a few girls; we were all teenagers and there were at least 15 of us. We decided to do it because we’ve seen our parents do it and it looks easy so we were like “we can do that too”. Thinking that at least one person out of all us could cook, we decided not ask if any of us knew how to cook. We were all in charge to bring something to cook, whether it was burgers, sausages, chicken, or any other meat that we may like. My cousin, Elisur, and I went to buy some burgers because they were the easiest to find and we found them cheaper. However, the day of the cookout we noticed that there was a problem. None of us knew how to work the grill. So we told one of my uncles to come help us with it and it was simple. Later on, we noticed we had another problem. None of us knew how to cook and that was a huge problem. How were we going to have a cook out if none of us knew how to cook? So we called one of my aunts to come teach a few of us, but we couldn’t learn because we either fooled around or we were just that bad of cooks. Instead, my aunt called my other aunts to come and then they all made our food. Then all my other uncles came with some other cousins and soon enough, we had a mini party. It is something memorable because it was supposed to be a cookout for just a few teenage cousins, but it ended up being a whole family 4th of July party. It all started on thanksgiving, the whole family was at my cousin’s house everybody had to bring something in. Everybody did so, there was like 30 people and as result there was so much food, countless and countless trays. My stomach was growling and the trays couldn’t stop coming. I tried to taste the food but my mom to me wait till everybody got there so that we could start eating together. I was so inpatient I was six you couldn’t blame me and I hadn’t eaten anything for three days since I have had been really sick in the past days. All the food just made my mouth water time seemed to got by slower, I couldn’t wait. Then, everyone was taking so long I fell asleep. When I woke up I notice that the trays had been finished and demolished by them. I was so hungry everyone was just sitting there trying to get relieve after all that food. I was so angry I began to cry because I was extremely hungry and I was getting cramps. I JUST WANTED FOOD! My mom served me some tamales and lasagna, the most delicious food I’ve ever had I could savor all the ingredients in the lasagna (I didn’t like lasagna). 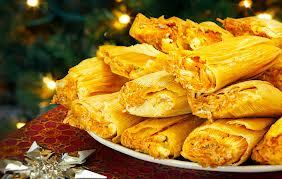 The tamales were spicy and to me they just tasted like heaven. I surprisingly ate the food slowly it was just succulent and flavorful food from that day on I never fall asleep in family reunions! Yesterday, the cooking interns and I went the Douglas campus to cook. We were then slit up into two groups. Jeimy, Lupe and Ana was in charge of making Healthy Fettucini Alfredo and Haley and I were in charge of making Huevos Rancheros. Both Dishes were healthy because they both included a lot vegetables and they were a good source of protein. In my group I chopped up Jalepeno the, tomato, onions, garlic and cilantro. Also I cooked the beans. 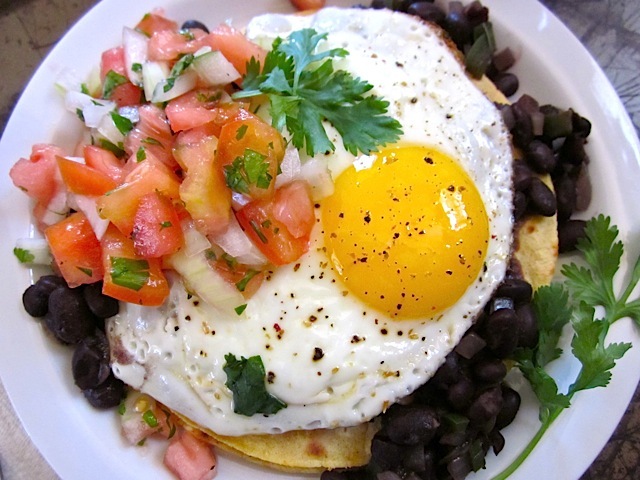 Haley made the eggs and toasted the tortillas. 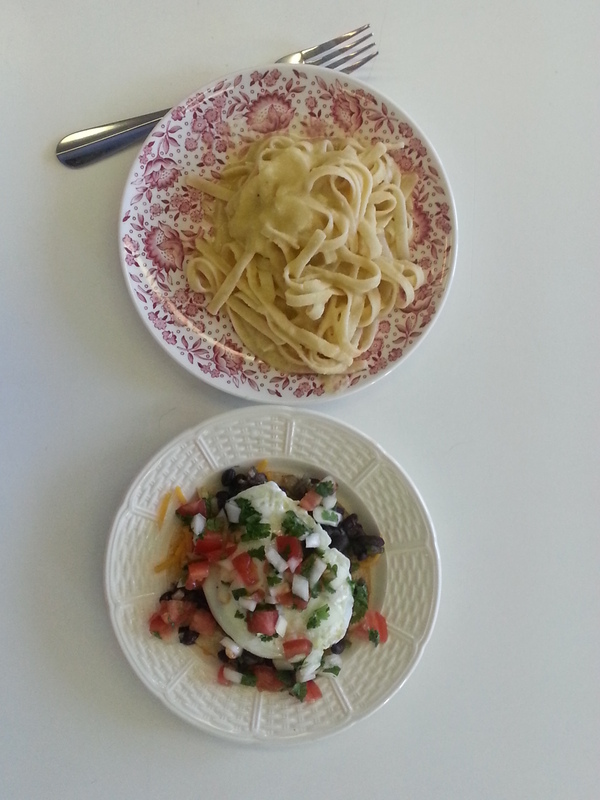 Both of the dishes were made in under and hour. They were good quantity and good quality food. At the end both foods was presented nicely and they both tasted amazing. Pots and pans…and a broken blender! The cooking was fun, I’ve never seen a room with so many stoves and ovens it was like i was in TV cooking contest–so fun. 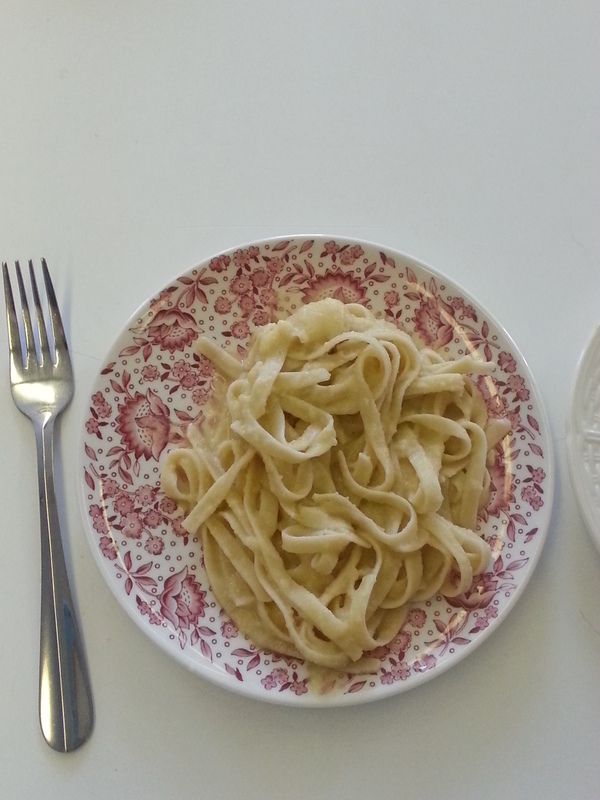 My team cooked the Healthy Fettuccine Alfredo and it was so simple yet so tasty =>YUMMY =P<=. I have always heard about Fettuccine Alfredo but never had the time to try or make but this time I had the time to make it. It was weird at first to see how all of those ingredients but them as we proceeded the ingredients started to come together and start Ed to look appetizing. 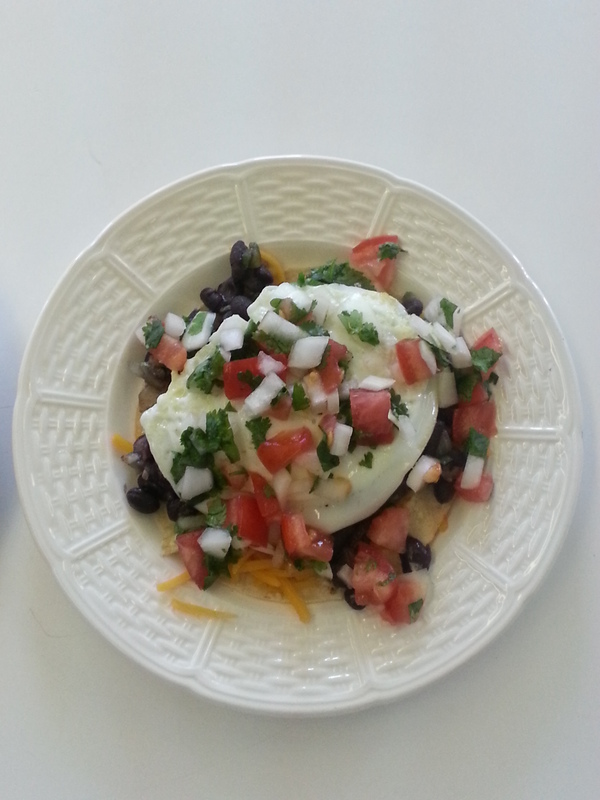 When I tried it was delicious and so was the Huevos Rancheros made by the other team!